Fine spirits and wines often have an amazing evocative power. One sip, or even a single sniff, has the power to transport you to different times and places, or take you back to favourite memories and moments of your life. Rum is perhaps the most evocative of all the spirits - it’s got this extraordinary ability to put you in mind of sun-baked terraces, white sand beaches, and the kind of warm, balmy evenings in which everything and anything is possible. Despite considerable efforts within the rum-making community, all too many people continue to consider rum to be a spirit which is merely splashed into a glass of cola, and then sucked through a straw while dancing at a party. As every rum connoisseur will leap at the chance to tell you, there is so much more variation, versatility, and subtlety to this wonderful drink, and the best part is you don’t need to break the bank in order to experience it. Indeed, for under $40, you can explore an impressively wide world of flavours and styles in your rum, and whether you go for a finer sipping rum or one to include in your favourite cocktails, there really is a massive array of flavours and characteristics out there to discover and encounter. In this blog, we’re going to be looking closely at the world of spiced rum. Infusing rum with fruits and spices may be particularly en vogue at the moment, but it’s far from being something new. In fact, since the earliest days of rum production, distillers have been throwing spices and other flavours into their rum barrels - either in an attempt to ward off the bad taste of their low-quality pirate grog, or to try and cure sailor’s diseases like scurvy. While the trend of spiced rum is flying high, we felt it was the perfect time to introduce what we feel are five of the best affordable examples out there on the market today. Whether you choose to slowly sip and savour these spirits over ice, or use them as the base for a delicious mixed drink is entirely up to you. All we can promise is that these rums have what it takes to transport you to sunnier climes, and offer plenty of bang for your buck. Cheers! If there’s one place in the world where we’d fully expect to find an affordable, quality spiced rum, it’s surely Barbados. Foursquare is a truly top-notch Bajan product, which offers an unbeatable smoothness alongside blossoming notes of cherry, almond, and butterscotch. Blended by the molasses-stained fingers of distiller Richard Searle, and produced using a combination of both column and traditional pot stills, the result is a high-caliber, incredibly tempting sipping delight. When it comes to the spicing, in Foursquare Spiced Rum, you’ll find notes of both cinnamon and ginger - a classic Caribbean combination - which thankfully enhances rather than dictates the nature of this supremely well-made spirit. If you’re looking for a deeply spiced rum which boasts mountains of multi-layered flavour and character, then this bottle is by no means a bad place to start. You’ll find the word ‘artisan’ plastered across the label multiple times… but fear not, this is no gimmicky, hipster-oriented rum, but rather a superbly made spirit which offers a real masterclass in how to combine a wide range of spices to optimum effect. The dominant flavours which come through (over the rather high level of sweetness which may not be to everyone’s taste) are orange peel and ginger. However, delve a little deeper, and you’ll find traces of cinnamon, cloves, coconut, all swimming around in a gorgeously honey and toffee-flavoured spirit. This is a delightfully mellow, slightly floral and rather sweet sipping rum, perfect for lazy afternoons watching the world go by. The world of rum has always been associated with fantasies of adventure on the high seas, of piracy and exploration, discovery and swashbuckling quests. 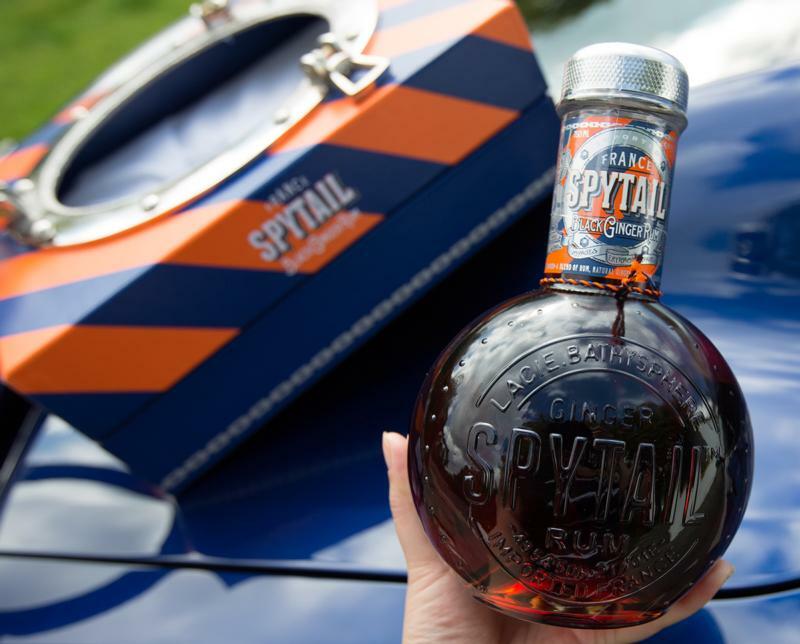 As such, it’s always a joy to discover a rum brand which manages to reflect this unique history with real class and style, as is the case with Spytail’s Black Ginger Rum. The bulbous bathysphere-inspired bottle is supposed to put one in mind of Captain Nemo and Jules Verne’s underwater adventures, which is fitting for a French rum distiller of real prestige and heritage such as this one. These themes are taken further with the rum itself; this one is based on an authentic early 19th century recipe for a spiced rum, and it absolutely bursts with a gorgeously fiery ginger profile which lingers deliciously on the palate. The rum itself is a piquant one, and features a lovely bonfire toffee note - perfect for sipping, and ideal for taking your taste-buds on adventures of their own. Every good pirate knows that ‘X’ marks the spot. This splendid spiced rum - with its fantastically piratical crossbones design - pays tribute to the history of this spirit, and utilises genuine recipes taken from 16th and 17th century distiller’s notes in order to create a truly authentic old-time rum of real distinction. It seems those historic West Indies recipe books had a decidedly Christmassy flair to them, however, as this rum bursts with festive flavours of cinnamon, cloves, and nutmeg, resulting in a spicy sensation which is difficult to resist at any time of year. Bumbu is a beautiful sipping rum, but probably comes into its own most effectively as a the key component of a ‘dark mojito’ - try it mixed with demerara sugar syrup, a squeeze of lime, and some soda water, and you’ll see exactly what we mean. 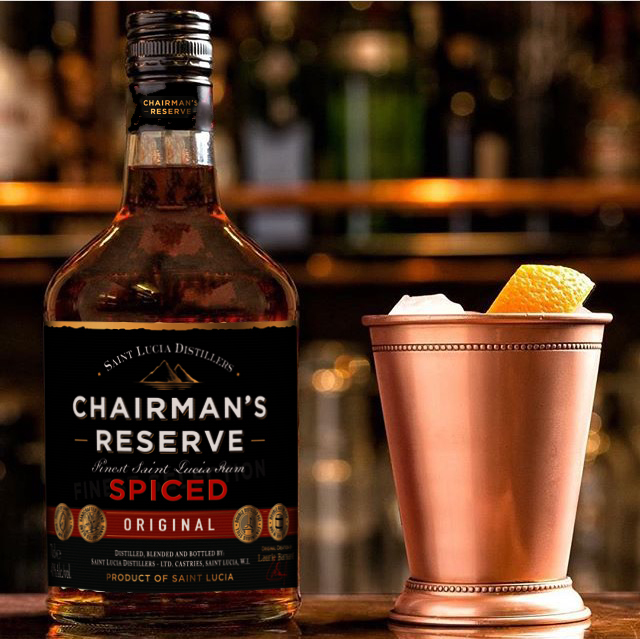 To say that Chairman’s have been a little clingy to this particular batch of rum is something of an understatement - they’ve limited the number of bottles released internationally at several points over the past few years, keeping the good stuff at home on the idyllic island of St. Lucia. It isn’t difficult to see why they’ve been so guarded over this particular rum, though; it’s utterly gorgeous, and amazingly good value considering its quality and distinction. This spiced rum manages to hit the perfect balance between sweetness and spice, and takes your palate on a real voyage of discovery with each and every sip. The first hit will give you an explosion of light and fruity citrus peel, which fades to reveal cinnamon, nutmeg, and the warmth and unctuousness of caramel. Slick, spicy, and a real hidden gem, it’s one to keep your eyes peeled for this year.